Products that bring so much joy to the BuzzFeed shopping team, we just had to tell you about them. #SorryNotSorry if we gush. 1. 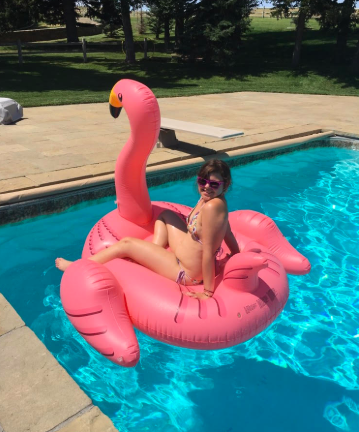 A perfect (and shockingly affordable) pool flamingo who you should definitely give a fancy name. Like the rest of the world, my life was forever changed a few summers back when Taylor Swift flaunted her impressive array of pool-float wildlife at her Fourth of July party. I knew I had to have one. I've always been partial to flamingos over swans, perhaps because I'm far more quirky than elegant. 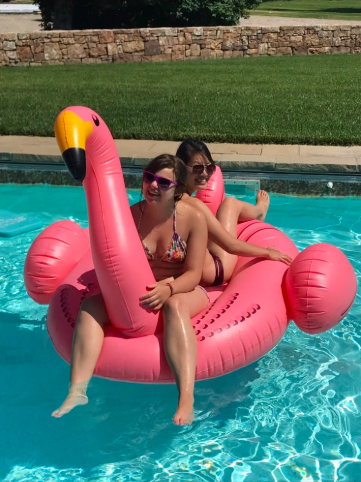 Although I pined for a pool flamingo to call my own, I didn't actually acquire one until last summer, when I found this one for TWENTY DOLLARS on Amazon (I've seen some that cost over $100). It was love at first sight. But the real entertainment value came from breaking her out with my friends. One of my besties took one look and dubbed her "Janice," and that was it: Janice became the queen of my Instagram. By the end of the summer, she had an entire backstory (don't ask her about her on-again-off-again relationship with the floaty alligator, it's a sore subject). 2. A game-changing gum made with caffeine that's an instant solution to your midday slump — without all the sketchy ingredients found in energy drinks. Being a working human means I'm often tired as hell. Even in college, I had such a hard time not feeling sleepy in class. Now I get to work and immediately head for the coffee machine because I need all the help I can get to kick-start my day. After my morning brew, I'm typically awake and productive until around early afternoon. Then lunch happens. Then my post-lunch nap kicks in and I want to pass the eff out under my desk. What can I say, I'm an exhausted human! Life is wonderful but also a lot, and sometimes I need a midday energy boost that doesn’t involve inhaling a gallon of coffee. This is where NeuroGum comes in. 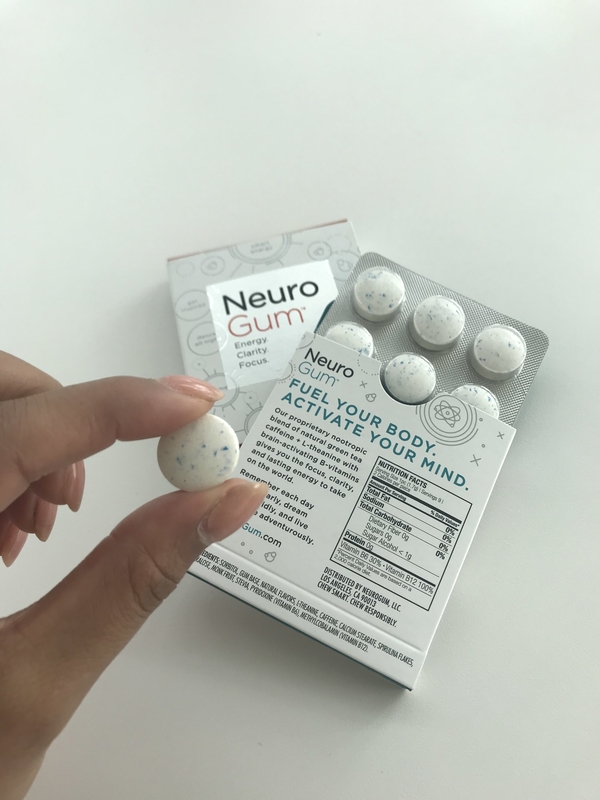 It’s literally gum with 40mg of caffeine (about half the amount of caffeine in an average cup of coffee), so it’s great to chew throughout the afternoon without having to worry about it keeping you up at night. It also has 60mg of L-thanine, which is the main amino acid in green tea, so you get a natural energy boost without all the sugars that you’d find in energy drinks. THIS MEANS NO JITTERS. NO CRASHING. Just a good’ ol boost of energy. I was skeptical about this gum at first. I thought there was no way gum could wake me from my afternoon lull and increase my attention so I could get more work done. Guys, I was wrong. This stuff works, and works well. I even gave some to my coworkers who said they noticed a difference immediately after chewing it. 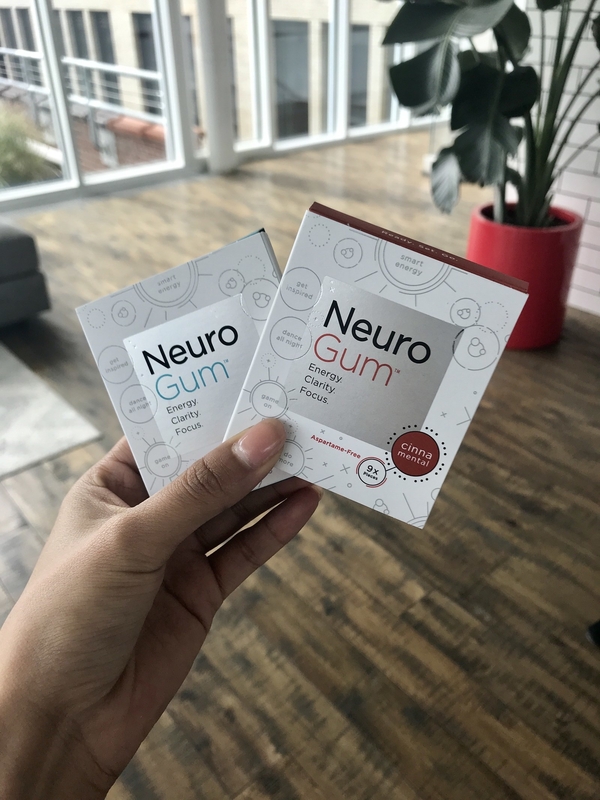 Get it from Neurogum for $3.99 per pack, or six-packs of the mint flavor from Amazon for $19.95 or Walmart for $21, or six-packs of the the cinnamon flavor from Amazon for $21. 3. 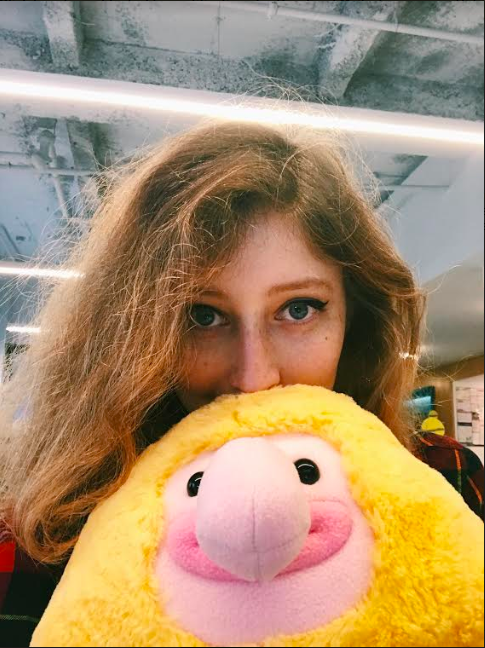 An absolute lad of a proboscis monkey plush, who is doing his best. Bek isn't the only one who loves this monkey! 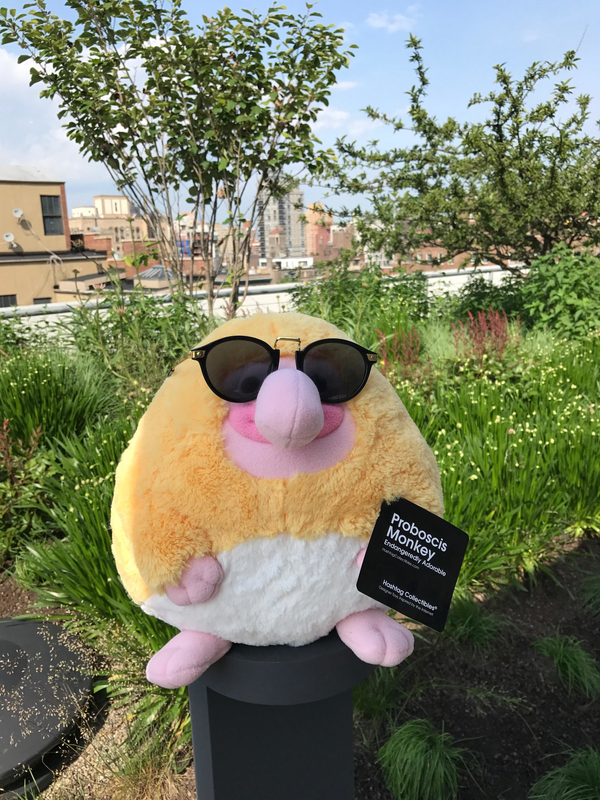 BuzzFeed published a whole article on how much Amazon reviewers love the mini version of this special boy. Get it for $29.99 or the mini version for $16.92, both from Amazon. 4. 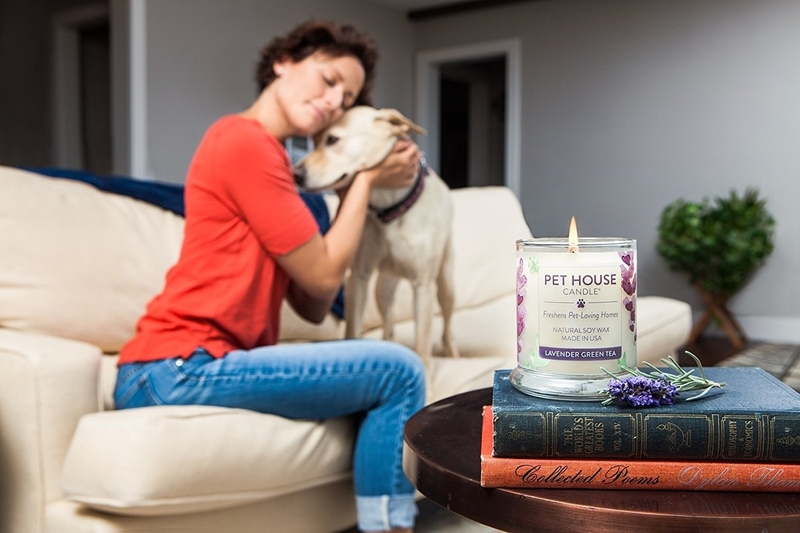 An odor-neutralizing candle that's meant to mask pet funk, but will also work on every other unsavory smell in existence. 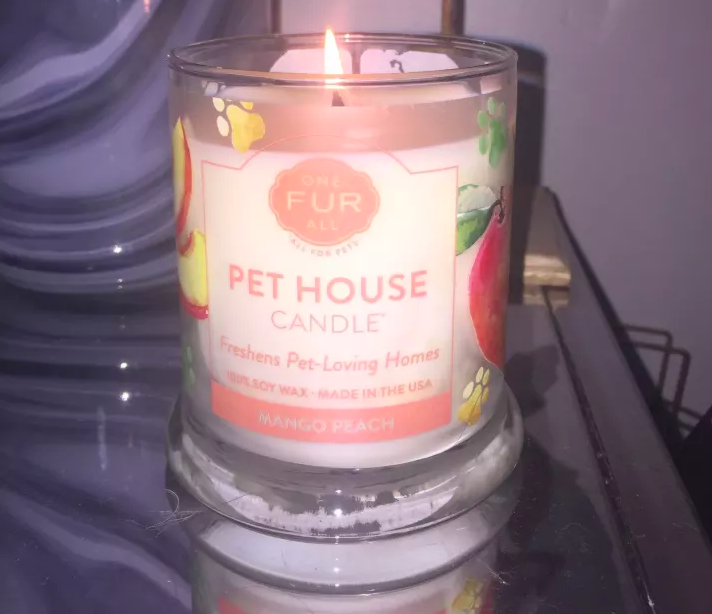 I first discovered Pet House Candles when I lived with Cleopatra, an adorable English bully with lots of 'tude who basically treated our velvet couch (with a slipcover!) like her throne. We resided in a pre-war apartment building (100+ years old) with no central air. So you can imagine that, despite us running the window AC unit during the day for Cleo, it could get funky in there! Anytime I was in the apartment awake, a candle was burning. I have an aversion to "clean linen" and other typical odor-neutralizing scents because they're so closely associated with that task that even if (IF!) they cancel out the odor, I know it's there. In short, I was spending oodles of cash on regular candles not designed for neutralizing odors. Check out her full review here. Get it from Amazon for $21.85 (available in eight scents). 5. A lunch bag that'll warn people not to mess with you and — more importantly — your food. If you're not familiar with the brand Blue Q, you need to get acquainted — I've written before about how much I love their socks, and their shopping, cosmetics, and lunch bags are no different. 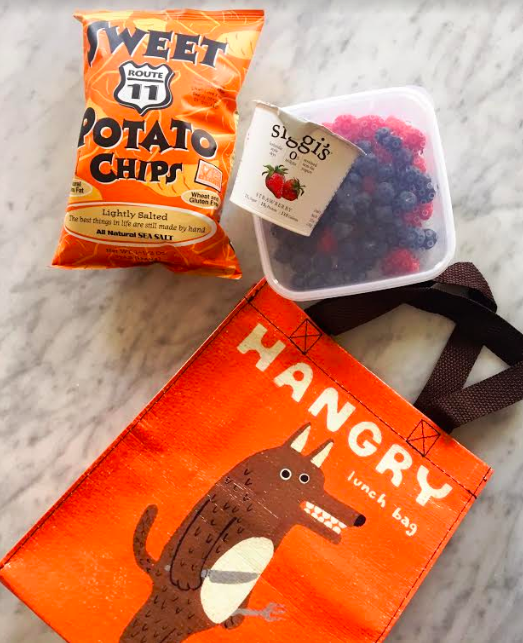 I've had this Hangry lunch bag for quite a while now, and it's almost absurd how much joy it brings me whenever I use it — and not just because it's filled with food. Although I work in a good place when it comes to having a wide variety of lunch options, choosing what to get and taking the time to actually get it is taxing both for my patience and my bank account — sometimes I'd keep putting off figuring out what to eat until I was already hungry and grouchy. Not a good combo. Besides, bringing food from home was the *easiest* thing to forget every morning when running out the door, already five minutes late. But with this bag, I haven't forgotten it once! I just hang the bag on my doorknob, and the bright orange screams, "WAIT, GET YOUR LUNCH!" before I can possibly head out the door. It fits all the various lunches I've ever dreamed of — curry chicken salad lettuce wraps, pesto pasta salad, containers of fresh fruit, cookies, potato chips, yogurts — with plenty of room to spare. Constructed from 95% post-consumer material (aka recycled woven polypropylene), it's v durable and has shown no signs of wear, whether I've crammed it full of food, shoved it into an overstuffed backpack, or torn into it when the hanger struck. And it just makes me HAPPY, from the color to the weird little wolf guy who is SO clearly ready to eat. I feel seen by him. And I'm not alone; I've even been stopped in the middle of a subway station because someone loved this bag so much and wanted to get a closer look. Get it from Amazon for $9.99 (also available in nine other sayings) or Walmart for $10.26. 6. A Kakashi mug to give anyone whose favorite things are ninjas and coffee just the kick they need in the morning. Get it from EternalRivalDesigns on Etsy for $16.99+ (available in two sizes and with white or black inside). Find more characters here. 7. 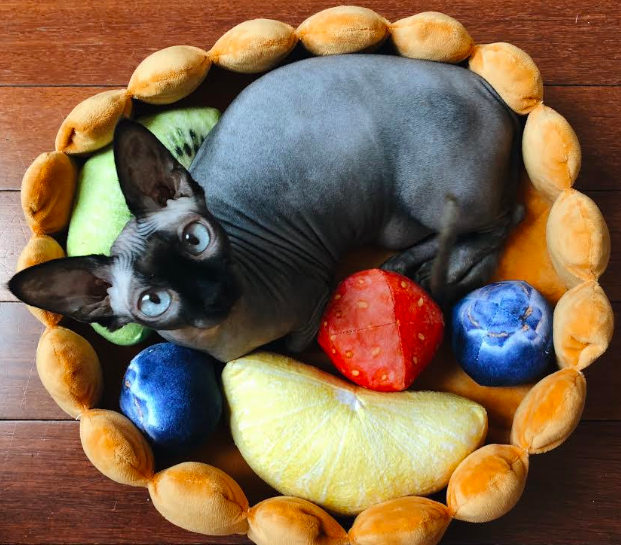 A dessert-themed pet bed so cute, my little tart can't take it. My favorite kind of shopping is cute-induced impulse shopping. 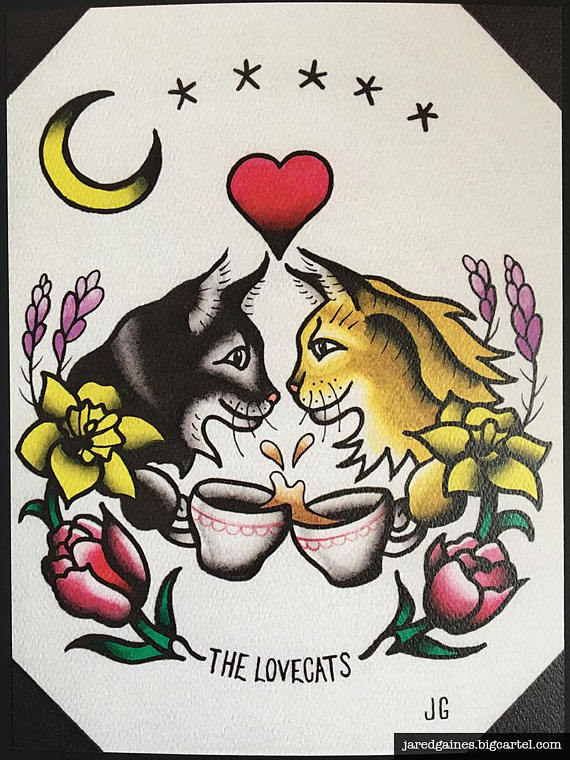 For the most part, the treasures I find are for the real treasures in my life, my cats. 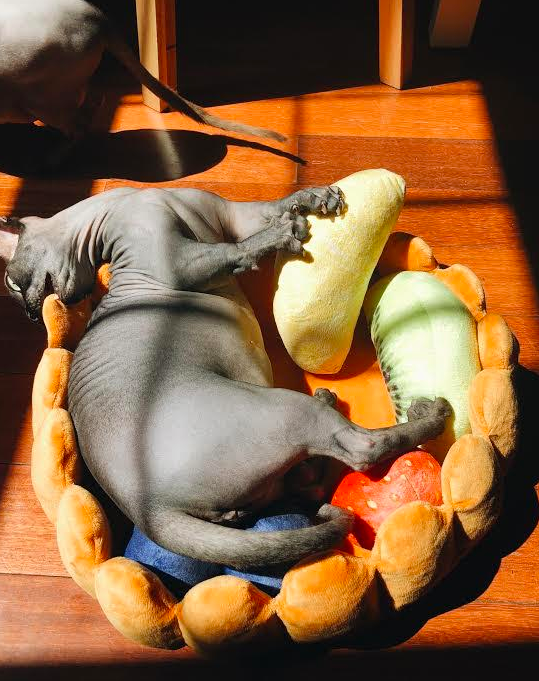 The best purchase I've ever made for them is this fruit tart bed. I'm obsessed with it, they're obsessed with it, and Instagram (the higher judgment we should all look to when trying to improve our lives) is obsessed with it. The bed itself is pretty small. My cats are Bambinos, so they have short legs, and with the fruit inside I think this would best fit a kitten. That being said, the fruit comes out of the tart and leaves plenty of room for any well-fed, full-grown feline. 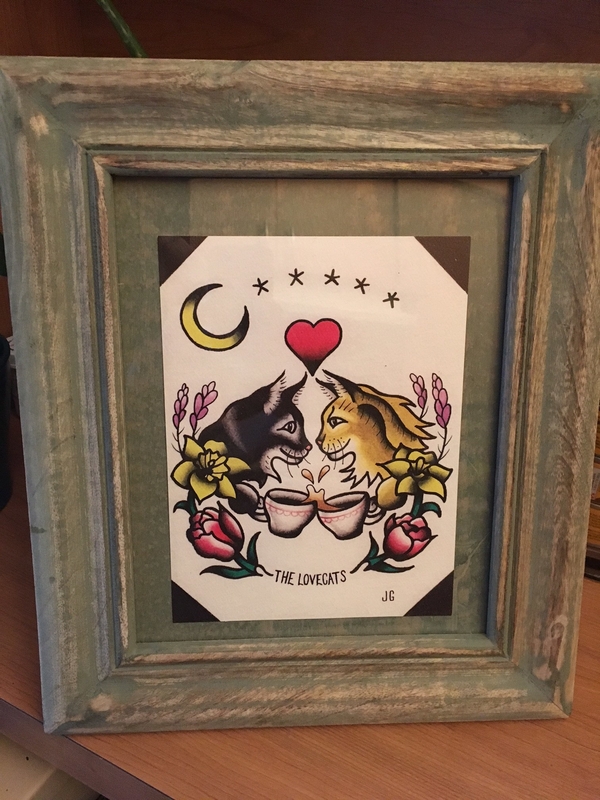 My cats hate everything I buy for them, but they took to this immediately. From my impressive background studying feline behavior (I watched a lot of Animal Planet as a kid), I think one of the reasons they like this bed so much is that the "crust" is both sturdy enough to stand on its own and soft enough for them to stretch and lean into. 8. An adorable print that pays homage to a classic '80s new-wave song. Get it from JaredGaines on Etsy for $15. 9. A travel tumbler that'll quench your thirst for a stylish and practical drink vehicle. The question I get asked most frequently around the BuzzFeed office, other than "Any fun weekend plans?" (the answer is no, lol) is "What is that?" with one finger pointed at my Kinto travel tumbler. It didn’t strike me as much of a showstopper at the time of purchase — and in fact, its unfussy, minimal design is what I found most appealing — but, by virtue of it not being a Yeti, S’Well, or Hydro Flask, this drink vehicle has caught a lot more eyeballs than I would've expected. In the words of my market colleague Jessie Gaynor, "It looks like a status tumbler to me." Get it from Food52 for $35 (available in four colors) or Urban Outfitters for $36 (available in three colors). 10. A sturdy treat-trapping ball that'll keep even the most precocious puppers entertained for hours. To the shock of no one who knows me even a little bit, the only thing I love in this life is my dog Lily. She is the purest, cutest, most angelic one and therefore the products that bring me the most joy in life are products Lily loves. Recently I had to take Lily to the vet (which she did not love at all), and on a whim I bought her an everlasting treat ball in the hopes it would give her something to chew on/distract her once we got home. I’ve tried similar treat prisons, such as Kong, for Lily before, but she quickly got bored of them or got the treat out. To my surprise, Lily frickin' loved this thing. She immediately got to chewing and her tail was wagging away. She never got the treat out, and so this provided over an hour of chew time while I was able to cook and eat dinner without her hanging around waiting for food to fall (the usual). It took Lily three chew sessions to finish this treat, so it's not everlasting, but it’s pretty darn good for a dog who usually pries the treat out of its prison within 10 minutes and eats all of it. Get it from Walmart for $7.11+ (available in small, medium, and large), Jet for $14.07+ (available in medium and large), or get the small ball from Amazon for $13.29, the medium ball from Amazon for $13.19, or the large ball from Amazon for $21.99. Get the treat refills from Amazon for $2.99+.